In 1858 French missionaries of the Society of Mary (Marists) planted a small vineyard at Meeanee, Hawke’s Bay, to make table and sacramental wine. They began selling red wine to the public in 1870, and one of their wines – from a mid-1880s vintage – won a silver medal at the 1892 Paris Exhibition. 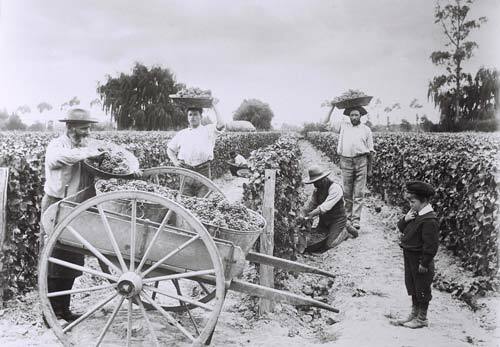 After flooding in 1897, the Meeanee vineyard was abandoned and the brothers relocated to Greenmeadows – where Mission Estate was still producing wine in the early 2000s. This is the 1895 harvest at Meeanee.